The winning NHS team (shown above) presented their solution to a select audience at the Primerica Home Office. 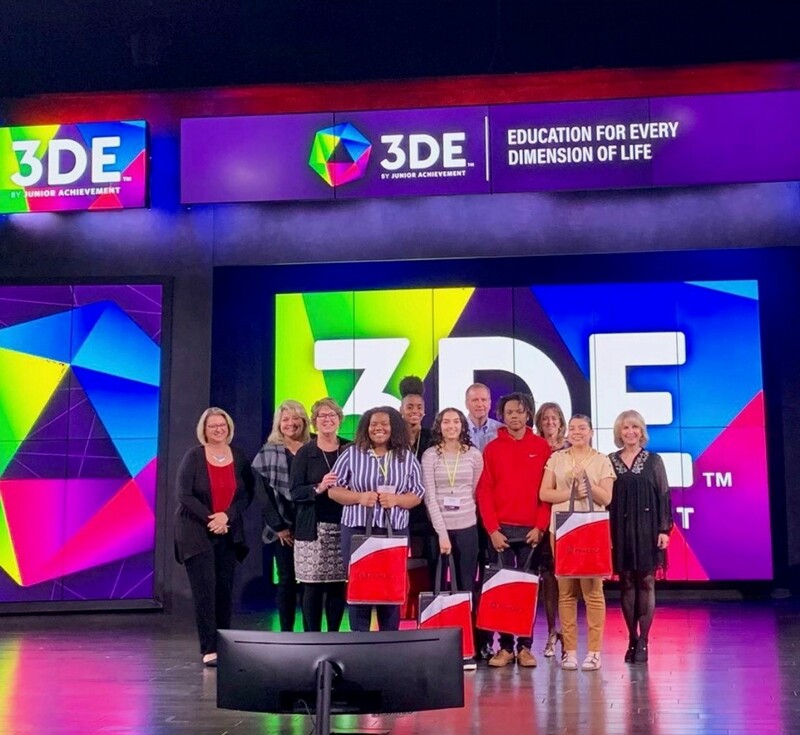 The Primerica Foundation recently partnered with 3DE (formerly known as JA Academy – a program of Junior Achievement) for a special learning experience for 100 students from Norcross High School. On Tuesday, March 26, Primerica hosted the students by providing a relevant business case study for them to tackle and ultimately present their “team” recommendations to a panel of Primerica judges. The winning team presented their solution to a select audience. The Primerica Foundation provides funding for the 3DE program in Gwinnett County and is also funding the expansion of the program throughout the State of Georgia. In addition to the 3DE program, the Foundation supports Junior Achievement Finance Park at Discovery High School in Gwinnett County. This entry was posted on Monday, April 15th, 2019 at 10:18 am	and is filed under The Primerica Foundation. You can follow any responses to this entry through the RSS 2.0 feed. You can leave a response, or trackback from your own site.